The Berkley Group is a professional consulting firm specializing in evaluating and operating government service delivery processes. Government exists to serve its citizens with critical services, and to improve our quality of life. We specialize in improving government services and can also assist them with services including government processes and procedures; capital project management; communications; land use and transportation planning; stormwater management; community involvement and group facilitation. We understand the challenges facing the public sector today and our collaborative approach allows us to provide personal attention and superior service delivery to our clients and partners. The Berkley Group’s dedication to, and experience with, public service brings a fresh and unique perspective for our clients. We pride ourselves on providing superior customer service by understanding the daily challenges facing communities. Helping localities achieve their goals is a passion for the Berkley Group’s founders – Darren Coffey and Drew Williams. When they collaboratively formed The Berkley Group in 2010, they did so with the belief that local government’s resources are shrinking while expectations for delivering real-world results are greater than ever before. How can we assist your community? Host Dean Lynch speaks with The Berkley Group’s Darren Coffey, CEO, and Drew Williams, COO, about the firm’s array of services for Counties. Lynch also talks with Executive Manager Kimball Payne and Executive Manager Jay Stegmaier about the Executive Transition Assistance Program and how it can help Counties with a smooth leadership transition. As local government experts, let us help you navigate through these evolving times. 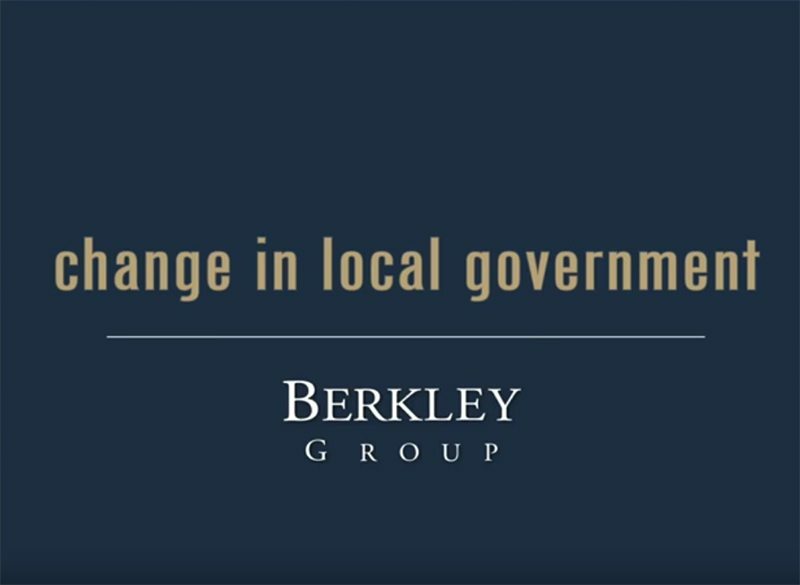 We’ve created a video series – “change in local government” – explaining some universal ways the local government profession is changing. The monthly webinars are currently FREE and open to anyone, members and non-members. Members can receive 1 CM credit for viewing the webinar LIVE. All webinars are posted to APA Virginia’s YouTube channel within 24 hours.